"I only wish to live up to my father's example…" An official US trailer has debuted for an indie coming-of-age comedy titled The Tiger Hunter, starring young actor Danny Pudi best known from "Community". Pudy plays Sami Malik, a young Indian boy who comes to America in the 1970s in order to impress his crush back home, as well as his father, a legendary tiger hunter. But of course he ends up working a low-end job and meets some wacky friends who he hopes will convince them of his success, even if it's not entirely true. The entire cast includes Rizwan Manji, Jon Heder, Karen David, Kevin Pollak, Sam Page, Anand Desai-Barochia, and Parvesh Cheena. This looks oddly charming and amusing in a quaint way. Enjoy. 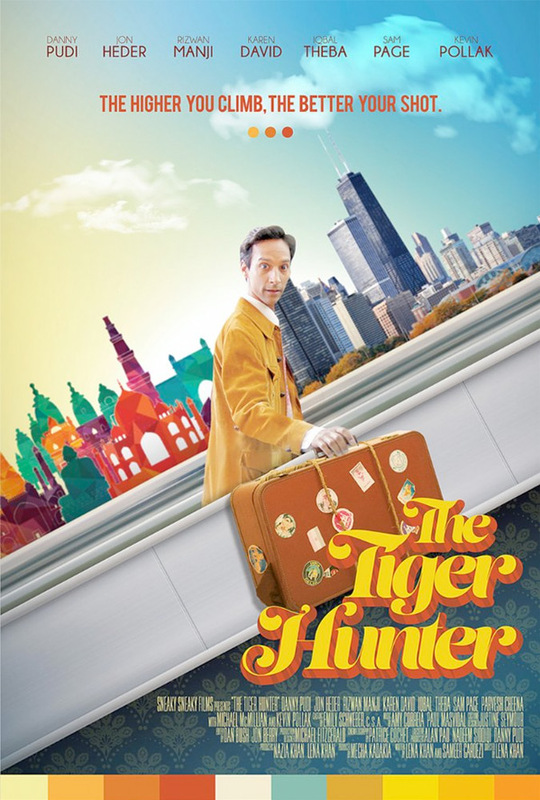 The Tiger Hunter is the story of Sami Malik (Danny Pudi), a young Indian who travels to 1970s America to become an engineer in order to impress his childhood crush and live up to the legacy of his father -- a legendary tiger hunter back home. When Sami's job falls through, he takes a low-end job and joins with a gang of oddball friends in hopes of convincing his childhood sweetheart that he's far more successful than he truly is…or perhaps ever could be. The Tiger Hunter is directed by filmmaker Lena Khan, a graduate from UCLA making her feature directorial debut after a few shorts previously. The screenplay is written by Sameer Asad Gardezi and Lena Khan. This first premiered at the Los Angeles Asian Pacific Film Festival last year. KVH Media Group will release The Tiger Hunter in select theaters starting September 22nd this fall.